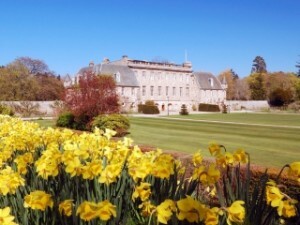 Founded in 1934 by Dr Kurt Hahn, the originator of the ‘Outward Bound’ philosophy of education, Gordonstoun School is one of the most famous boarding schools in the U.K. The School has among its past pupils five members of the British Royal family together with boys and girls from other royal families from around the world. Great importance is attached to international understanding with a quarter of the School’s pupils coming from overseas. The surrounding countryside with its beaches, forests and hills is ideal for teaching young people to enjoy and respect their environment. The sea and the mountains offer those challenges of adventure and team work which remain so important in this modern world.